Meet The World’s Oldest Living Animal ‘Jonathan’ Born In 1832! ST HELENA. 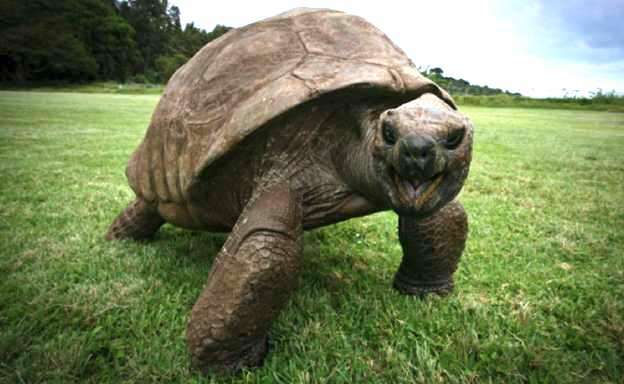 (THECOUNT) — The light bulb had yet to be invented in 1832, the year “Jonathan the tortoise” was hatched. 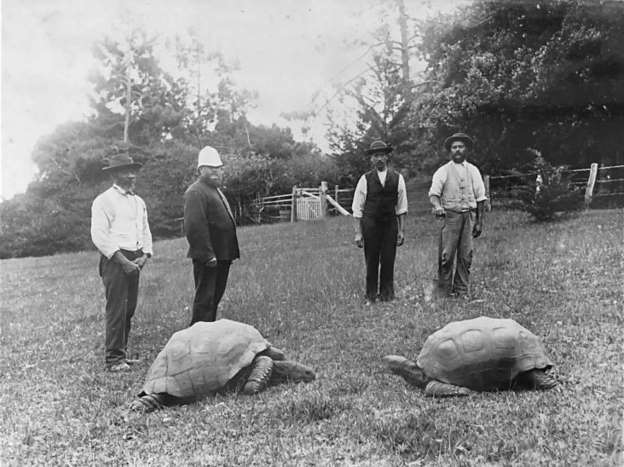 It was a very different world back then; cars were still 50 years away, but Jonathan, a Seychelles giant tortoise, lived to see it all now clocking in at a staggering 187 years young. 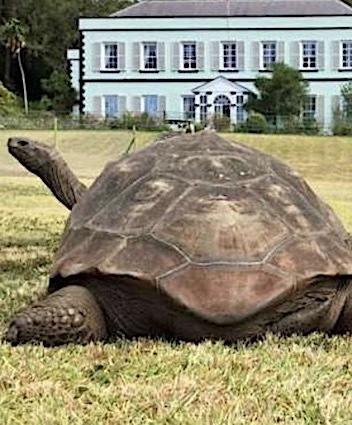 Jonathan has been verified as the oldest-known animal in the world — and he’s living a relaxing life on the remote island of St. Helena in the South Atlantic, where he’s been since the late 1880s, reports MSN. Teeny Lucy, the chairperson for the local SPCA, is one of his main caretakers. Jonathan lives on the lush grounds of the historic governor’s mansion, where Lucy and several others visit with him throughout the week with fresh veggies. Jonathan’s longevity has certainly surprised a lot of people, Lucy said. He’s the oldest member of his companions at the mansion, who consist of three other giant tortoises; the second-oldest tortoise is his friend, 80-year-old David. He typically spends his days lounging in the sun, munching on grass and relaxing with his tortoise friends. It’s a very calm life for someone of such status; he’s so popular that his portrait is even on the back of the small island’s five pence coin. Geo quick facts: St. Helena island, part of the British Overseas Territory also encompassing Ascension and Tristan da Cunha islands, is a remote volcanic outpost in the South Atlantic Ocean. It’s famous as the place of Napoleon Bonaparte’s exile and death, as commemorated by a now-empty tomb. Climbing destinations include the 699 steps of Jacob’s Ladder and Diana’s Peak, sheltering endemic plant and animal life – wikipedia.